The person departed from LGB from Gate 11 on March 30 at 6:40 a.m. on JetBlue flight 1136, and again departed from LGB from Gate 7 on April 7 at 6:40 a.m. on the same flight 1136. People present at the airport on either of those days between 6 and 8 a.m. may be at risk of developing measles, the health department said in a statement. Passengers present on those flights will be contacted separately. People who may have been exposed on March 30 and have not exhibited symptoms by April 20 will no longer be considered at risk. Individuals who may have been exposed on April 7 and have not exhibited symptoms by April 28 will no longer be considered at risk. 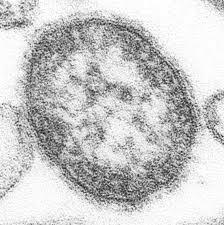 The department said there is currently no ongoing risk related to measles at the airport.